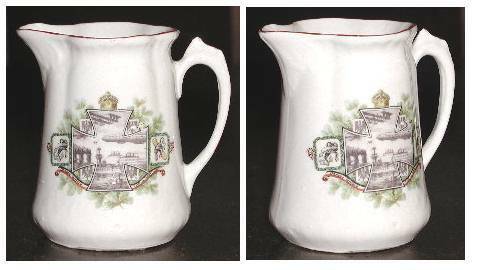 See scan - perfect condition for this fine German porcelain / china piece. Has pictures of the Imperial German / Royal aviation and NAVY, with lots of airplanes, zeppelin, ships, etc. patriotic images. Great piece.